Smile Solutions’ registered specialist orthodontists work closely with an oral & maxillofacial surgeon to achieve your desired dental outcomes with jaw surgery. Some people are born with skeletal problems that prevent them from biting normally. This “bad bite” can be in the form of an under-bite, an over-bite or an open bite. Also known as severe malocclusion, the deformity can cause difficulties with chewing food properly (which affects digestion), speech problems, headaches and joint pain. It can also compromise a person’s appearance, especially their profile. To correct a bad bite, the jaw can be realigned using either orthodontic devices or surgery. When is jaw surgery needed? Jaw surgery (also known as orthognathic surgery) is needed if the deformity is in an adolescent or an adult and is so severe that orthodontic treatment alone cannot correct it. In adolescents whose bad bite is due to deficient growth, surgery can be conducted before age 18. Otherwise, surgery can be considered after the adolescent growth spurt or any time during adulthood. If you are concerned about your child’s bite, you should consult your dentist, regardless of whether your child has all of their permanent teeth, as bone growth and tooth eruption are not correlated. In many adolescents, orthognathic surgery will not be necessary if modern orthodontics are used to correct the growth pattern during the growth period. For pre-adolescent children, guiding growth is always the solution, except in the case of congenital deformities or problems related to trauma. It may take from six to 18 months to prepare a patient for your jaw surgery, depending on their needs. First, we will fit braces to your teeth to begin aligning them so your bite is correct when the surgery is complete. During surgery, pins will be threaded through a slot in these braces to help the surgeon secure your teeth during the surgery. During orthodontic treatment, impressions will be taken to check the progress of the orthodontic alignment. Once we are satisfied that your pre-surgical goals have been reached, we will fit an arch wire that is strong enough for surgery and then make an appointment for your procedure. adjust the chin either forward, backwards, upwards to shorten it or downwards to lengthen it. Surgery is performed behind the back teeth, not in the joint, and the jaw is sectioned. This approach is taken for three reasons: so that no gaps are left in the bone, so that it is not necessary to wire your teeth during the healing phase and so that you can open your mouth after surgery. Incisions about 1 centimetre long are made on the inside of your mouth for access during the surgical procedure. As a result, there is no external scarring. These incisions are typically located in the folds of tissue and are not usually visible after your surgery. The sutures used on the incisions either dissolve or are removed after five to seven days. Some procedures may be done on an outpatient basis, while others are conducted in hospital. If the procedure is to take place in hospital, you will generally be admitted on the morning of your scheduled surgery. The length of your hospital stay will also vary according to your procedure. 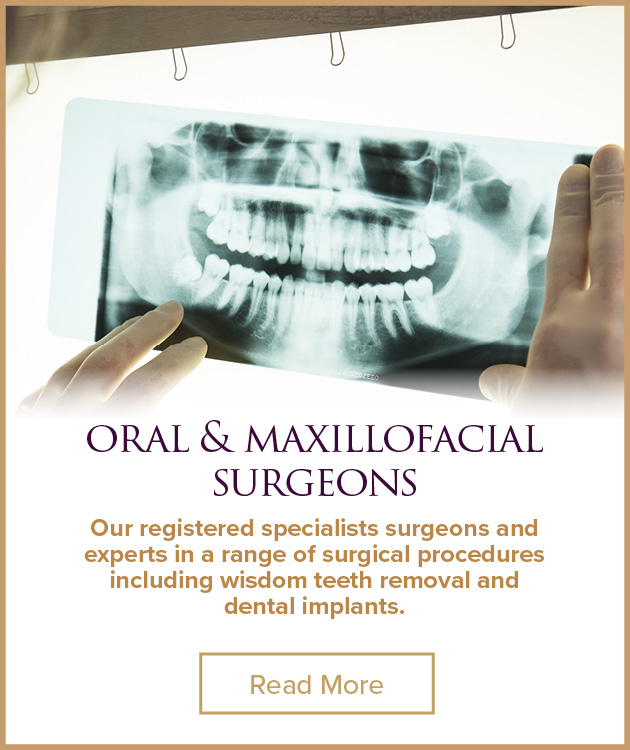 One of our oral & maxillofacial surgeons will discuss all of these details with you well in advance. Most patients will be ready to have their braces removed within six to 12 months of the surgery. In most cases, the surgeon will bond a fixed retainer to the inside of your lower front teeth before removing your braces. The upper retainer, which you will receive one week after your braces are removed, is usually not permanent. Generally speaking, Dr Bordbar and Dr Kumar will schedule a review appointment a week after surgery to monitor your recovery. After that you will need orthodontic treatment for about 6 to 12 months. 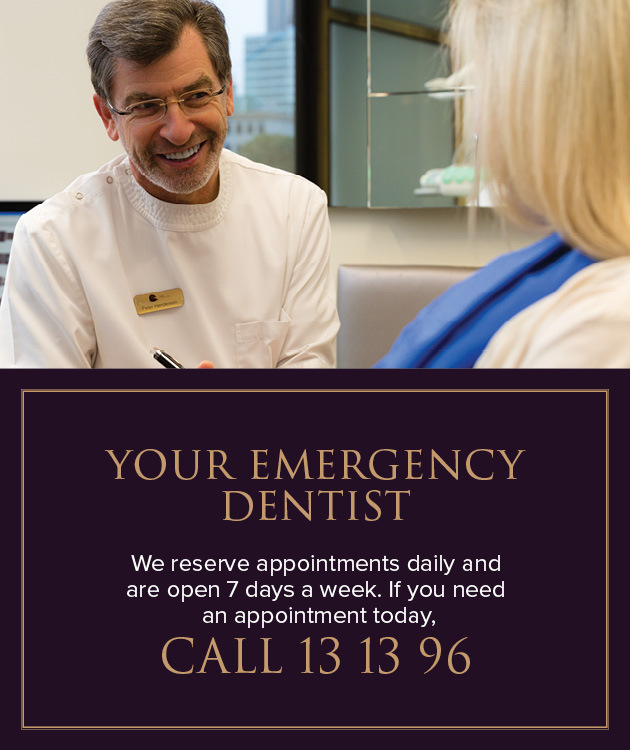 Over this period, and especially immediately after surgery, oral hygiene becomes more important than ever. If you do not keep your mouth clean after your surgical procedure, you greatly increase the risk of infection. You can expect some swelling. This is often greater on the second or third day after surgery and then tends to decrease. Swelling is generally only noticeable for up to six weeks. The level of pain experienced after jaw surgery varies from individual to individual. Some patients describe it as more like a “soreness” but most patients call it “discomfort”. For how long will I experience this discomfort? Discomfort generally lasts two to three weeks. It is more noticeable in the first few days after your surgery, but you will feel an improvement every day. Your surgeon may prescribe some medication to help alleviate your discomfort. When will I be able to eat solid foods? Immediately after surgery your diet is limited to soft foods to aid the tissue healing process, but the options may not be as limited as you think. Also, because the muscles in your mouth will be weakened and your new bite will feel different, you may have difficulty chewing. Foods such as breads and most meats will be difficult to eat. However, you should be able to eat most foods around four weeks after surgery. Will I have trouble talking after the surgery? You should expect some soreness in lengthy conversations; however, the more you talk, the more you exercise your weakened muscles and hence speed recovery.